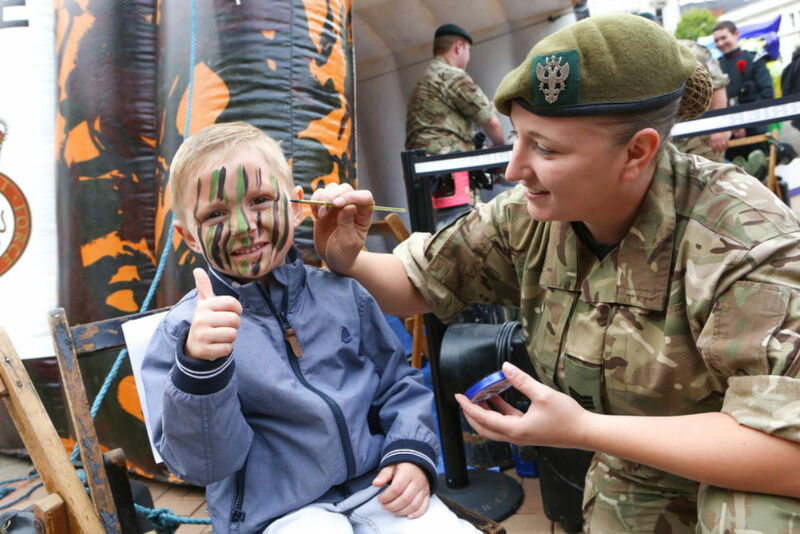 The Army Cadets' Big Event Day proves a great success! 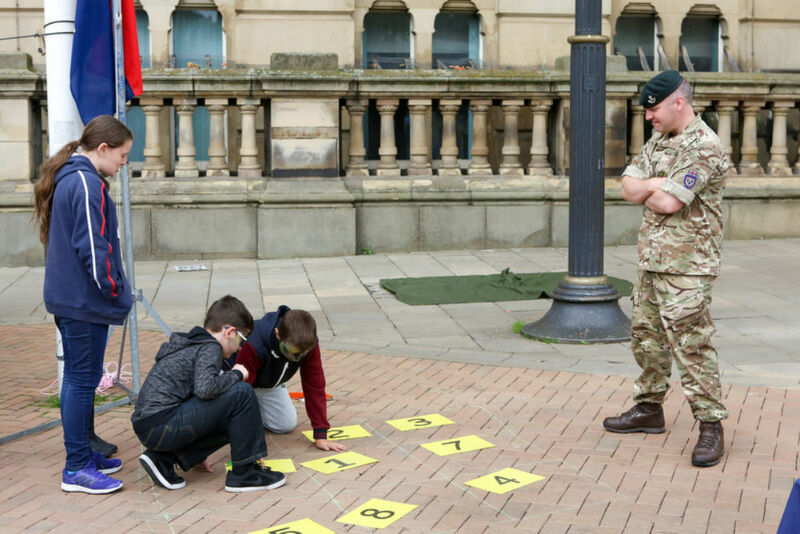 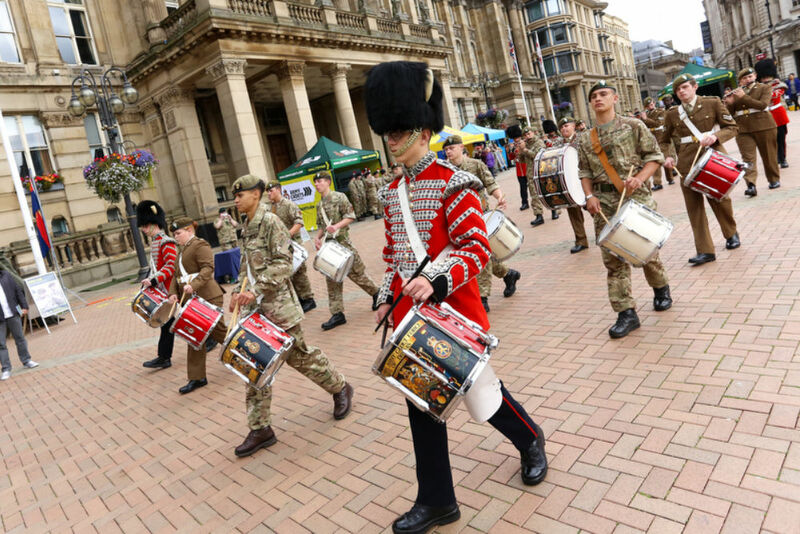 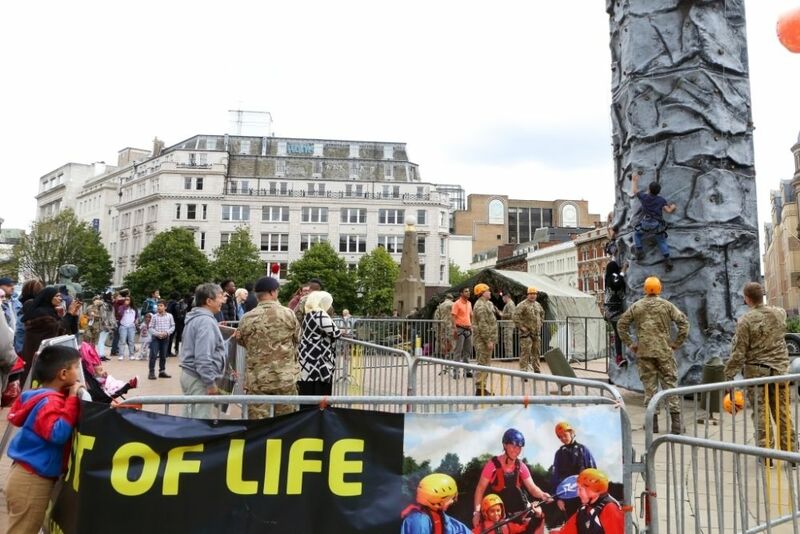 The sunny weather and fun activities on offer helped to draw in the crowds at the Army Cadets' Big Event Day in Victoria Square, Birmingham on Saturday 5 September. 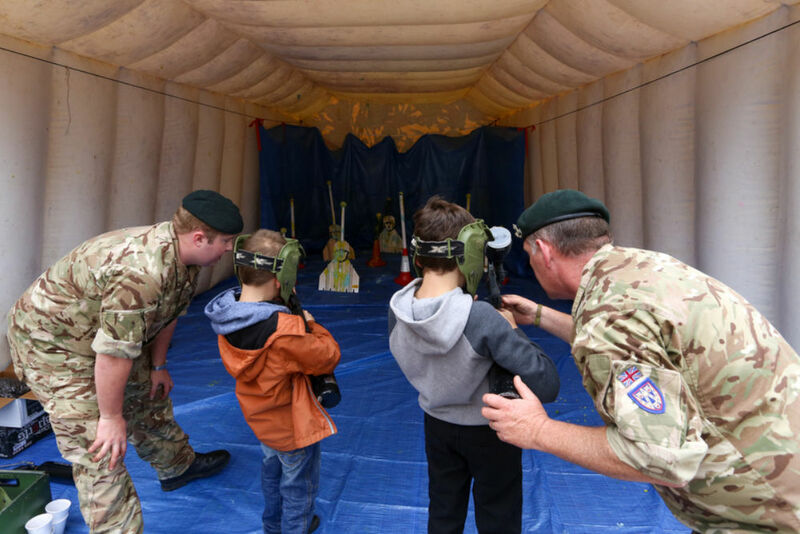 Members of the public came along to the event to try their hand at paintballing, climbing, first aid and dressing up, as well as to hear music from the cadets’ Band and Bugles and Corps of Drums. 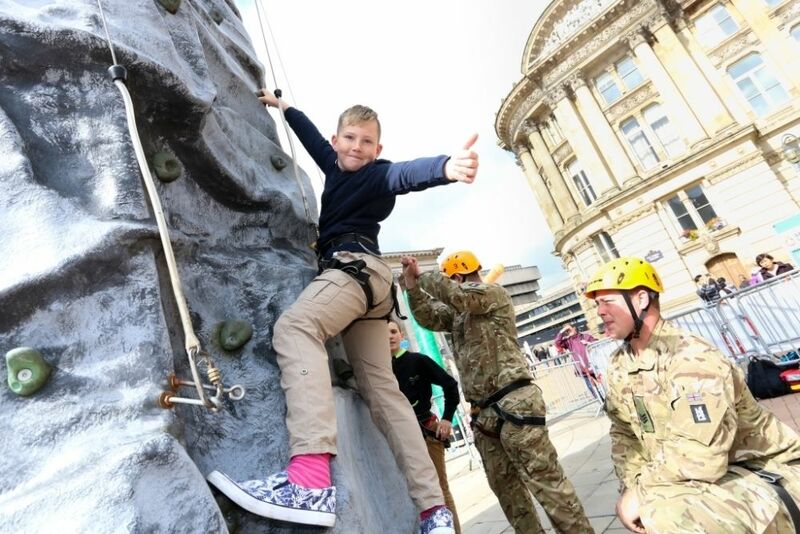 The Big Event Day was set up to raise awareness of the Army Cadets and the variety of opportunities it offers.The activities and entertainment were provided by cadets and adult volunteers from Shropshire ACF, Staffordshire and West Midlands (North) ACF and Warwickshire and West Midlands (South) ACF who were also on hand to speak to members of the public and highlight the many benefits of joining the ACF. 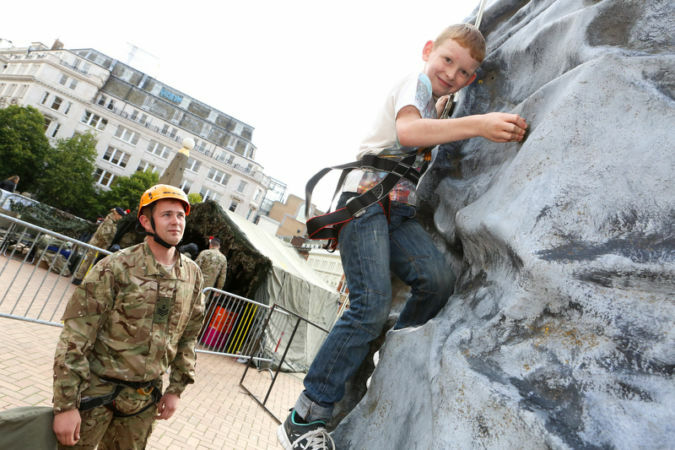 The event proved a huge success with both adults and children alike – with climbing and dressing up proving very popular! 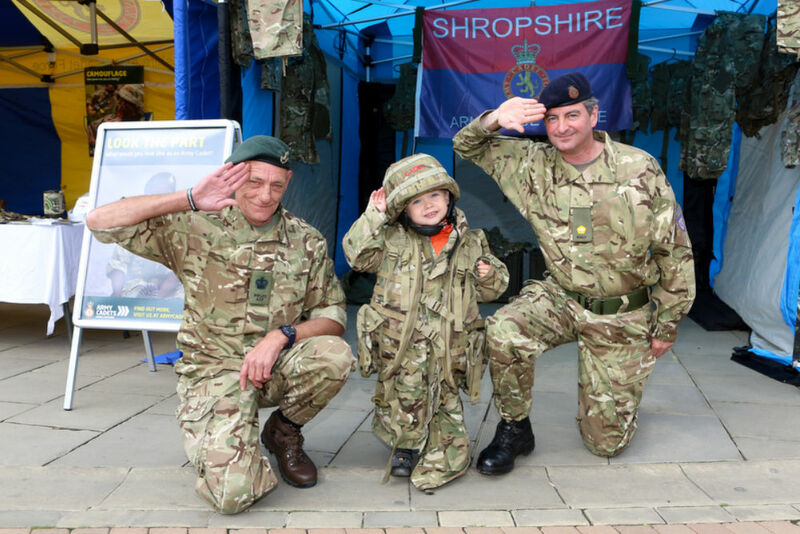 – and some were so inspired that they signed up to join the ACF there and then! 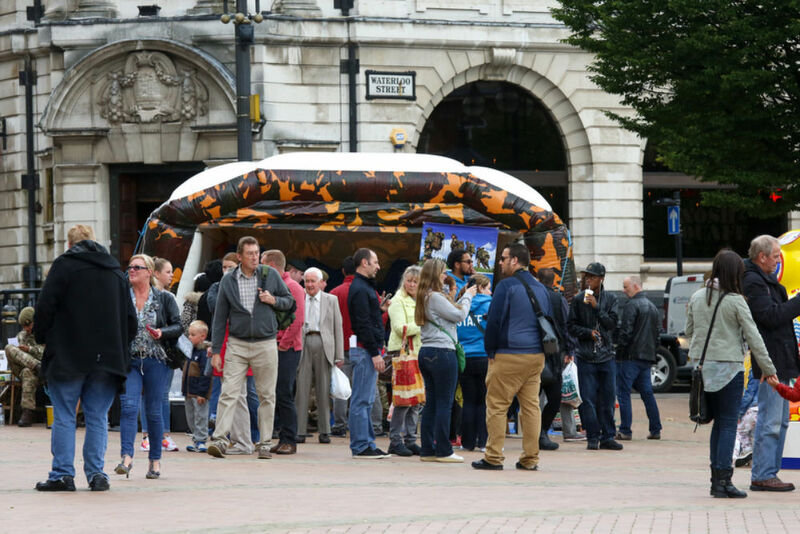 We also attracted the attention of the local media as ITV Central came along to film the event for their TV and online new bulletins. 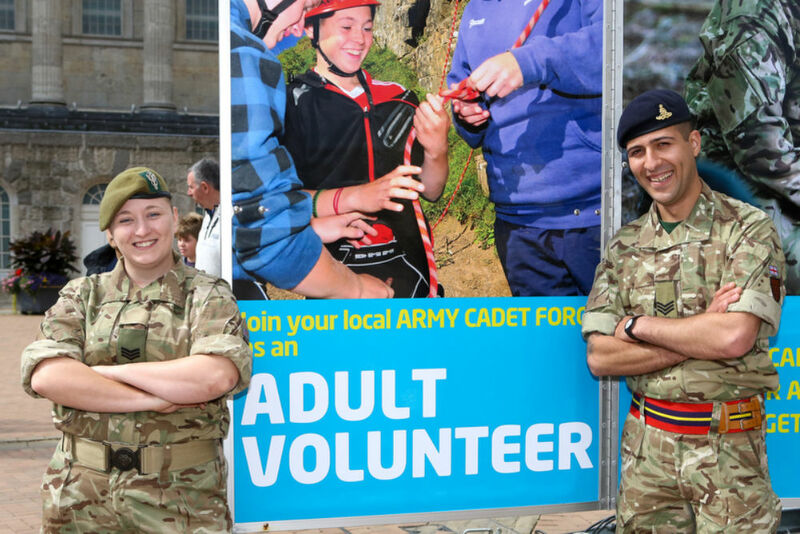 Click here to watch a clip of our adult volunteers talking about life in the cadets. 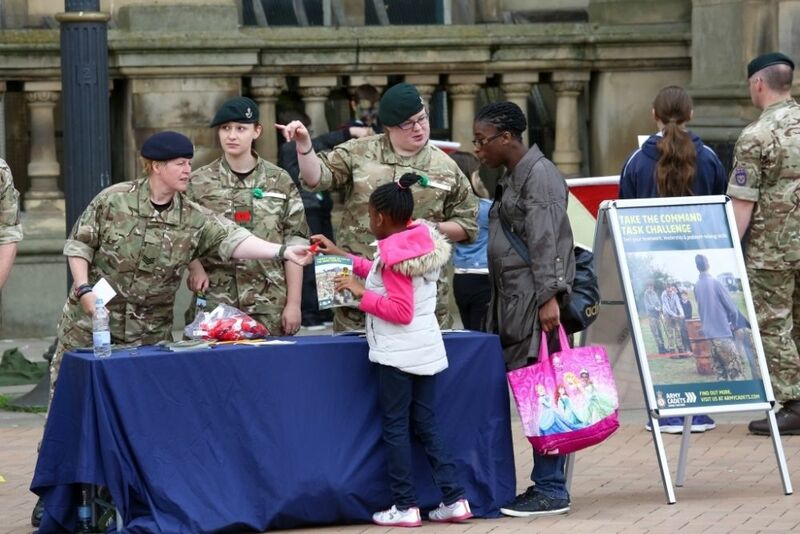 To see some of the great photos from the day take a look at the image library on the right. 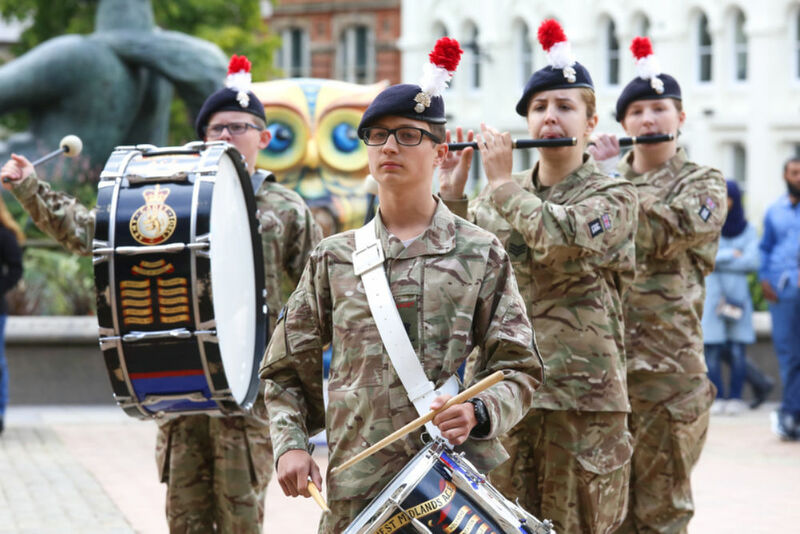 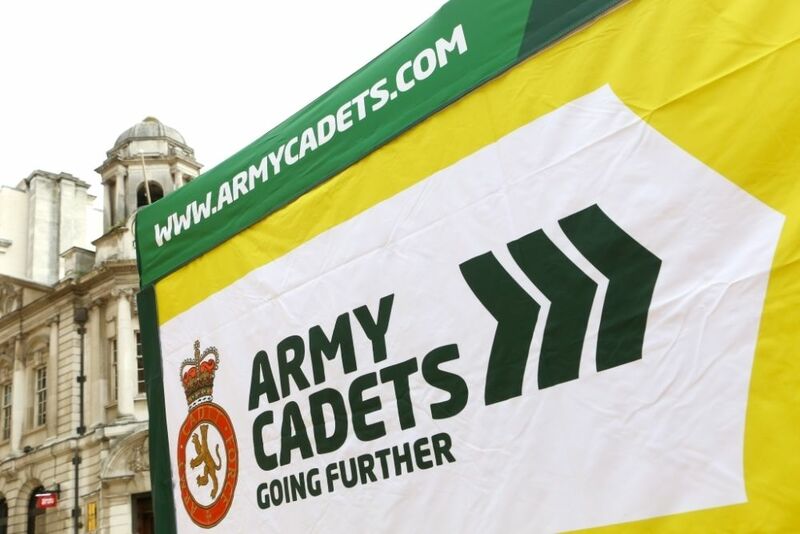 Following the success of the Big Event Day the ACF is now looking forward to the first national Army Cadets’ Open Week, where events will be taking place across the country from 14 – 20 September. 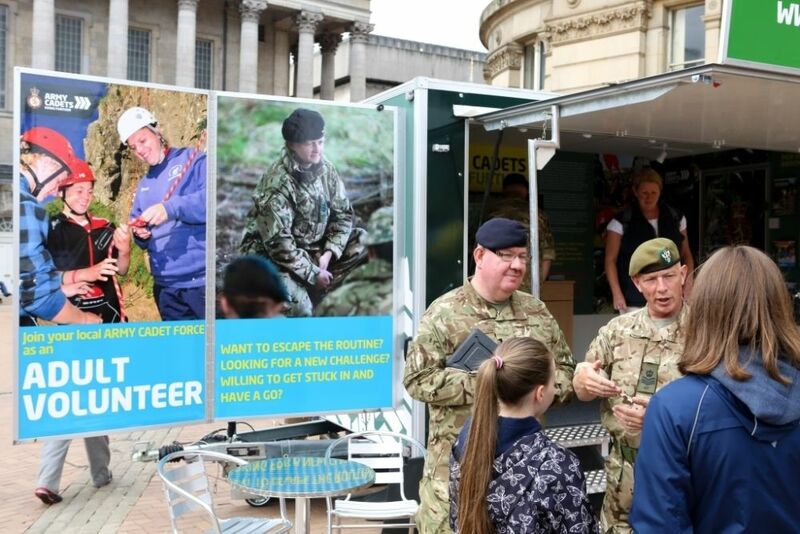 Detachments will be opening their doors to members of the public at Open Days in a bid to boost recruitment of volunteers and cadets. 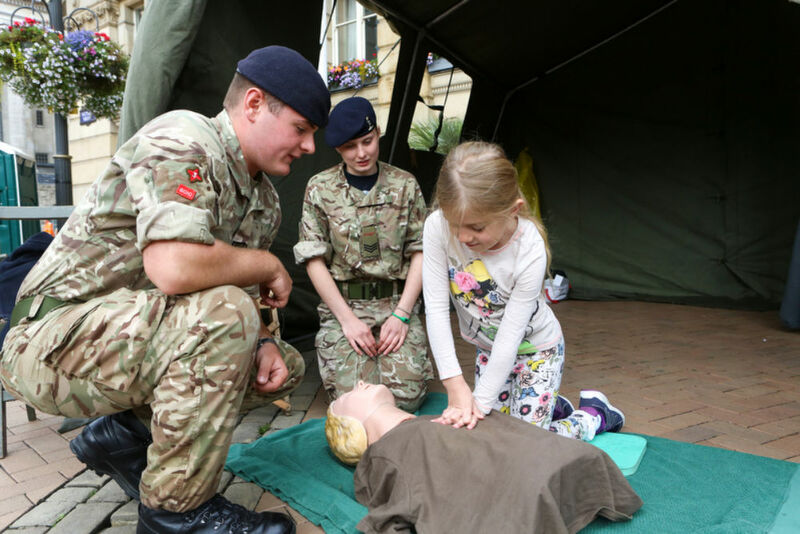 To find out more and to find your local Open Day event, please click here.